بکرانی, مهدی, حمیتی واقف, وحید. (1397). ‌‌‌‌طراحی و پیاده‌سازی شبیه‌ساز انواع روش‌های تصویربرداری فراصوتی آزمون‌های غیرمخرب. مجله صوت و ارتعاش, 7(13), 82-103. مهدی بکرانی; وحید حمیتی واقف. "‌‌‌‌طراحی و پیاده‌سازی شبیه‌ساز انواع روش‌های تصویربرداری فراصوتی آزمون‌های غیرمخرب". مجله صوت و ارتعاش, 7, 13, 1397, 82-103. بکرانی, مهدی, حمیتی واقف, وحید. (1397). '‌‌‌‌طراحی و پیاده‌سازی شبیه‌ساز انواع روش‌های تصویربرداری فراصوتی آزمون‌های غیرمخرب', مجله صوت و ارتعاش, 7(13), pp. 82-103. بکرانی, مهدی, حمیتی واقف, وحید. ‌‌‌‌طراحی و پیاده‌سازی شبیه‌ساز انواع روش‌های تصویربرداری فراصوتی آزمون‌های غیرمخرب. مجله صوت و ارتعاش, 1397; 7(13): 82-103. روش‌های نوین آزمون غیرمخرب، مبتنی بر تصویربرداری فراصوتی با استفاده از آرایه‌های فازی می‌باشند. با توجه به تنوع روش‌های تصویربرداری، بررسی و مقایسه آنها تاکنون کم‌تر مورد توجه قرار گرفته است. در این مقاله ضمن معرفی انواع روش‌های تصویربرداری فراصوتی، شبیه‌ساز آزمون غیرمخرب معرفی می­شود. این شبیه­ساز علاوه‌بر پیاده­سازی روش‌های تصویربرداری فراصوتی، به یک سخت افزار تصویربرداری فراصوتی ساخته شده در آزمایشگاه مرتبط می­شود و امکان مقایسه روش‌های مختلف را از منظر کیفیت تصویر، میزان نویز زمینه، دقت تشخیص عیوب، سرعت اجرا و میزان پیچیدگی محاسباتی فراهم می­آورد. قابلیت تنظیم کلیه پارامترهای مرتبط با تصویربرداری فراصوتی، امکان شکل‌دهی پرتو و آستانه‌گذاری، و همچنین سهولت استفاده از آن، از جمله ویژگی­های مهم این شبیه­ساز است. نتایج استخراج شده از این شبیه­ساز در یک مطالعه موردی نشان می­دهند میزان نویز زمینه تصویر در روش تمرکز کامل مبتنی بر شکل‌دهی پرتو برابر با dB 3/19- است که نسبت به روش متعارف تمرکز کامل به میزان dB14 بهبود یافته است. همچنین تابع شدت روشنایی حفره در روش تمرکز کامل[i] (TFM) متعارف به میزان dB 2/2 بهتر از روش مبتنی بر شکل‌دهی پرتو است که به معنای حساسیت بیشتر در تشخیص حفره‌ها و عیوب می‌باشد. Schmerr-Jr., L. W., “Fundamentals of Ultrasonic Phased Arrays”, Springer Seriesin Solid Mechanics and Its Applications, 2015. Jobst, M., and Connolly, G., “Demonstration of the Application of the Total Focusing Method to the Inspection of Steel Welds,” European Conference on Non-Destructive Testing, 2010, pp.1-11. Holmes, C., Drinkwater, B. W., and Wilcox, P. D., “Post-processing of the Full Matrix of Ultrasonic Transmit–Receive Array Data for Non-Destructive Evaluation,” NDT&E International, Vol.38, No.8, 2005, pp.701–711. Drinkwater, B. W., and Wilcox, P. D., “Ultrasonic Arrays for Non-Destructive Evaluation: A Review,” NDT&E International, Vol.39, No.7, 2006, pp.525–541. Lambert, J., P´edron, A., Gens, G., Bimbard, F., Lacassagne, L., and Lakovleva, E., “Performance Evaluation of Total Focusing Method on GPP and GPU,” Conference on Design and Architectures for Signal and Image Processing (DASIP), 2012, pp.1-8. Jeune, L., Robert, S., Dumas, P., Membre, A., and Prada, C., “Adaptive Ultrasonic Imaging with the Total Focusing Method for Inspection of Complex Components Immersed in Water,” AIP Conf. Proc., Vol.1650, 2015, pp.1037-1046. Li, M., and Hayward, G., “Ultrasound Nondestructive Evaluation (NDE) Imaging with Transducer Arrays and Adaptive Processing,” Sensors, Vol.12, No.1, 2012, pp.42-54. Saniie, J., Wang, T., and Bilgutay, N. M., “Analysis of homomorphic processing for ultrasonic grain signal characterizations,” IEEE Transactions on Ultrasonics, Ferroelectrics, and Frequency Control, Vol.36, 1989, pp.365–375. Zhu, Y., and Weight, J. P., “Ultrasonic Nondestructive Evaluation of Highly Scattering Materials Using Adaptive Filtering and Detection,” IEEE Transactions on Ultrasonics, Ferroelectrics, and Frequency Control, Vol.41, No.1, 1994, pp.26-33. Lu, Y., and Saniie, J., "Adaptive filtering and Fractional Fourier transform for ultrasonic signal processing and flaw detection," IEEE International Ultrasonics Symposium Proceedings, 2014, pp.1932-1935. Oruklu, E., and Saniie, J., “Ultrasonic Flaw Detection Using Discrete Wavelet Transform for NDE Applications,” IEEE Ultrasonics Symposium, 2004, pp.1054-1057. Oruklu, E., Aslan, S., and Saniie, J., "Applications of Time-Frequency Distributions for Ultrasonic Flaw Detection," IEEE International Ultrasonics Symposium Proceedings, 2009, pp.2000-2003. Gongzhang, R., Li, M., Lardner, T. and Gachagan, A., “Robust Defect Detection in Ultrasonic Nondestructive Evaluation (NDE) of Difficult Materials,” IEEE International Ultrasonics Symposium Proceedings, 2012, pp.467-470. Yoon, S., Oruklu, E., and Saniie, J., "Performance Evaluation of Neural Network Based Ultrasonic Flaw Detection," IEEE Ultrasonics Symposium, 2007, pp.1579-1582. Li, M., Hayward, G., and He, B., “Adaptive Array Processing for Ultrasonic Non-Destructive Evaluation,” IEEE International Ultrasonics Symposium Proceedings, 2011, pp.2029-2032. 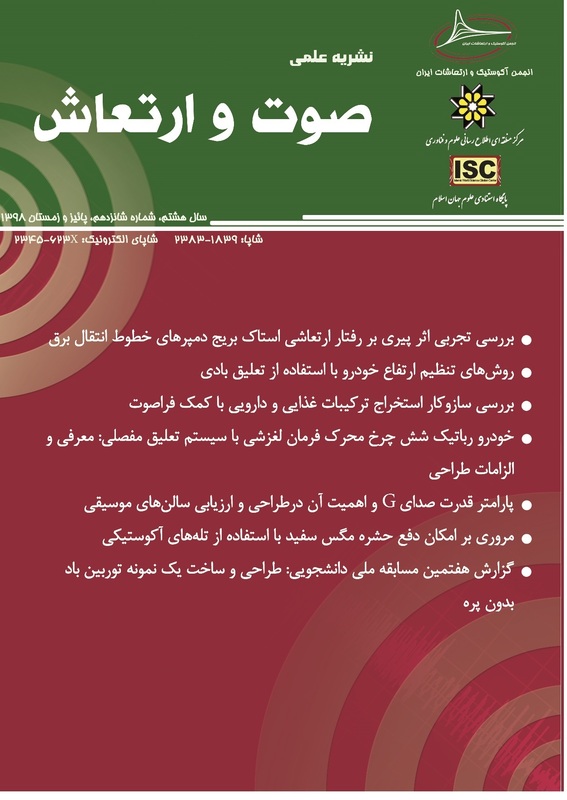 Ziksari, M. S., and Mohammadzadeh-Asl, B., “Combined phase screen aberration correction and minimum variance beamforming in medical ultrasound,” Ultrasonics, Vol.75, 2017, pp.71–79. Sakhaei, S. M., “A decimated minimum variance beamformer applied to ultrasound Imaging,” Ultrasonics, Vol.59, 2015, pp.119–127. Zhao, J., Wang, Y., Yu, J., Guo, W., Li, T., and Zheng, Y. P., “Subarray coherence based postfilter for eigenspace based minimum variance beamformer in ultrasound plane-wave imaging,” Ultrasonics, Vol.65, 2016, pp.23–33. Stepinski, T., “Synthetic Aperture Focusing Technique in Ultrasonic Inspection of Coarse Grained Materials,” SKI Report, 2007. Engle, B., “Quantitative flaw characterization with ultrasonic phased arrays,” Graduate Theses and Dissertations, IOWA state Uni. 2013. Stepinski, T., and Lingvall, F., “Synthetic aperture focusing techniques for ultrasonic imaging of solid objects,” 8th European Conference on Synthetic Aperture Radar (EUSAR), 2010, pp.438-441. Fendt, K. T., Mooshofer, H., Rupitsch, S. J., Ermert, H., “Ultrasonic Defect Characterization in Heavy Rotor Forgings by Means of the Synthetic Aperture Focusing Technique and Optimization Methods,” IEEE Transactions on Ultrasonics, Ferroelectrics, and Frequency Control, Vol.63, No.6, 2016, pp.874-885. Chahbaz, A., and Sicard, R., “Comparative evaluation between ultrasonic phased array and synthetic aperture focusing techniques,” AIP Conference Proceedings, Vol.657, No.1, 2002, pp.769-776. Lin, Y., and Volker, H., "Self-Monitoring Ultrasonic Gas Flow Meter Based on Vortex and Correlation Method," IEEE Transactions on Instrumentation and measurement, Vol.56, No.6, 2007, pp.2420-2424. Dube, Noel. "Introduction to Phased Array Ultrasonic Technology Applications: R/D Tech Guideline." R/D Tech Co, 2004. Simões, M. J., Santos, F., and Santos, J. B., “FPGA-Based Control System of an Ultrasonic Phased Array,” Journal of Mechanical Engineering, Vol.57, No.2, 2011, pp.135-141. Robert, S., Casula, O., Njiki, M., and Roy, O., “Assessment of Real-Time Techniques for Ultrasonic Non-Destructive Testing,” AIP Conference Proceedings, Vol.1430, 2012, pp.1960-1967. Jeune, L. Le, Robert, S., Villaverde, E. L., and Prada, C., “Plane Wave Imaging for Ultrasonic Non-Destructive Testing: Generalization to Multimodal Imaging,” Ultrasonics, Vol.64, 2016, pp.128–138. Sutcliffe, M., Weston, M., Dutton, B., and Cooper, I., “Real-Time Full Matrix Capture with Auto-Focusing of Known Geometry through Dual Layered Media,” NDT&E International, Vol.51, 2012, pp.16-23. Ditchburn, R. J., and Ibrahim, M. E., “Ultrasonic Phased Arrays for the Inspection of Thick-Section Welds,” Published by Maritime Platforms Division, Defense Science and Technology Organization, 2009. بکرانی، م، حمیتی واقف، و، "ارائه روشی نوین برای تصویربرداری و استخراج عیوب توسط آرایه‌های فازی آلتراسونیک"، کنفرانس فیزیک ریاضی ایران، دانشگاه صنعتی قم، آبان 1395. بکرانی، م، حمیتی واقف، و، " ارائه روش بهبودیافته تصویربرداری فراصوتی در بازرسی جوش"، پذیرفته شده در نشریه مهندسی برق و الکترونیک ایران، 1397. بکرانی، م، حمیتی واقف، و، "بهبود کیفیت تصاویر فراصوتی در آزمون غیر مخرب با روش حداقل واریانس اصلاح شده"، دهمین کنفرانس بینایی ماشین و پردازش تصویر ایران، دانشگاه صنعتی اصفهان، آذر ماه ۱۳۹۶. بکرانی، م، حمیتی واقف، و، "روش بهبود یافته تمرکز روزنه مصنوعی برای تصویربرداری فراصوتی با آرایه فازی"، بیست و ششمین کنفرانس مهندسی برق ایران، دانشگاه صنعتی سجاد، اردیبهشت ماه ۱۳۹7.